Mint was originally used as a medicinal herb to treat stomach ache and chest pains, and it is commonly used in the form of tea as a home remedy to help alleviate stomach pain. In Rome, Pliny recommended that a wreath of mint was a good thing for students to wear since it was thought to "exhilarate their minds". 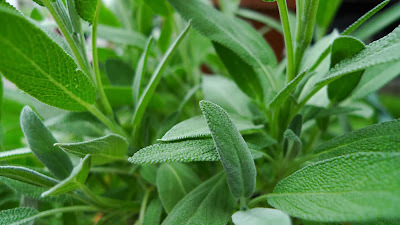 During the Middle Ages, powdered mint leaves were used to whiten teeth..
Continue to the original wikipedia article. 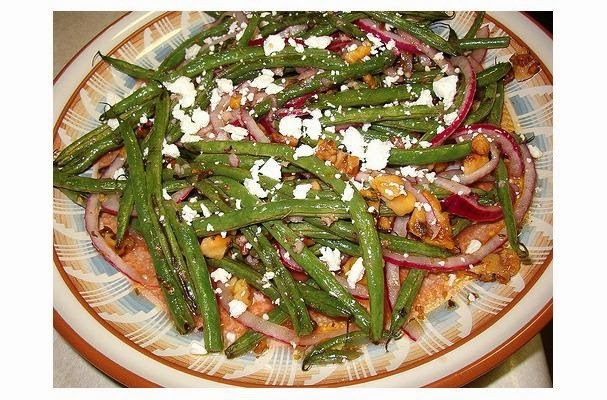 It does not matter how many times some recipes are made; they are always a welcome sight around the dinner table. 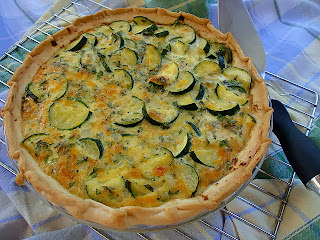 Fresh Herb and Zucchini Pie is one such recipe that I know my family and friends love. So much so that I make 2 pies to ensure I have a leftover slice or two in the refrigerator for a late night snack or quick lunch. The pie screams of summer with verdant zucchini, parsley and oregano fresh from a farmers’ market or backyard garden and baked with creamy cheddar and mozzarella cheeses and fresh from the farm eggs. When serving a simple entrée of grilled chicken, steak or fish, I like to include a flavor packed side dish that is the centerpiece of the meal. Fresh Herb and Zucchini Pie is one such accompaniment. As not to be tied to the kitchen, it can be made up to a day in advance and reheated in the oven or served at room temperature. The pie also makes for a filling yet light lunch when paired with a salad of mixed greens, cherry tomatoes, diced cucumbers tossed with red wine vinaigrette. Continue to the original recipe page at www.amycaseycooks.com. Zucchini Pie with fresh herbs photo by Amy Casey. 1. In a bowl whisk shallot, mustard, oregano and 1/2 of lemon juice until combined well. 2. Add oil slowly while whisking vigorously. Add remaining lemon juice and season with salt and pepper. Add oil, a little at a time, blending after each addition until sauce coats the back of a spoon. 3. Add additional seasoning to taste if desired. Flora Export S.G. Israel LTD. offers premium fresh herbs from best of Israeli growers. 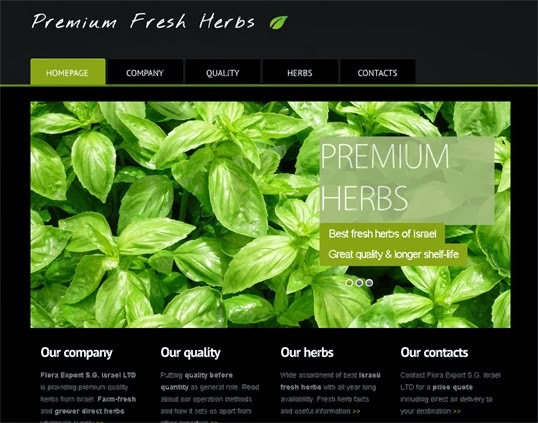 Visit our new website www.premium-fresh-herbs.com for more information about buying premium fresh herbs from Israel grower-direct and farm-fresh. Flora Export S.G. Israel LTD. offers premium quality fresh herbs & salads from best of Israeli growers. The various basils have such different scents because the herb has a number of different essential oils that come together in different proportions for various breeds. The strong clove scent of sweet basil is derived from eugenol, the same chemical as actual cloves. African blue basil has a strong camphor smell because it contains camphor and camphene in higher proportions. Licorice basil contains anethole, the same chemical that makes anise smell like licorice, and in fact is sometimes called "anise basil. 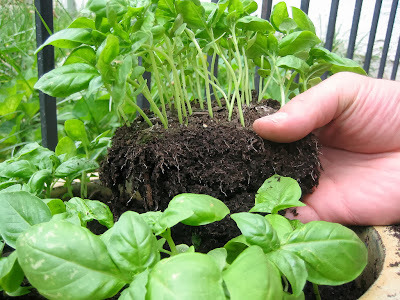 Basil and oregano contain large amounts of (E)-beta-caryophyllene (BCP), which might have a use in treating inflammatory bowel diseases and arthritis. BCP is the only product identified in nature that activates CB2 selectively; it interacts with one of two cannabinoid receptors (CB2), blocking chemical signals that lead to inflammation. Make sure to visit our new website http://www.premium-fresh-herbs.com Dedicated to premium culinary herbs supply grower-direct and farm fresh. To insure produce quality we always work with certified Israeli growers only. Flora Export S.G. Israel LTD. Flora Export S.G. Israel LTD offers best Israeli fresh herbs all season wholesale supplies. Grower-direct with air freight delivery worldwide, our company provides premium quality fresh herbs with affordable price policy. Browse our catalogs and contact us for a price quote including delivery to your destination. We are an experienced exporter and supplier of fresh herbs worldwide. 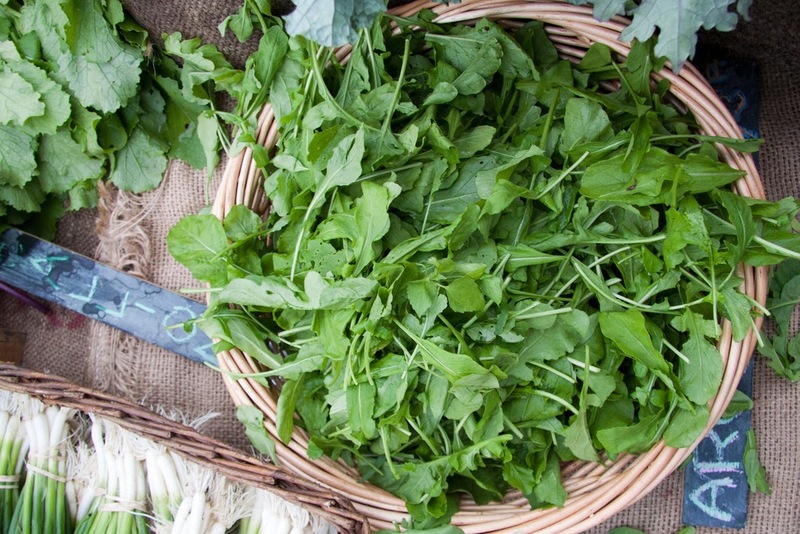 Contact us for a price quote for a fresh herbs and salads we will replay with best price available in your region including direct air delivery. Great prices, no agents, top quality agricultural produce supplies from Israel all year long.